A dairy product that was essentially created as a form of preservation of milk – through salting, curdling and basketing. There are many types of cheese and thus a variety of textures, flavours and even colours. When it comes to choosing which cheese to have, or even understanding cheese pairing for drinks or in cookery, you must first understand the actual cheese and its properties. 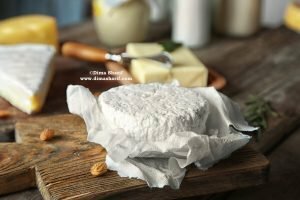 So in this article I will be discussing with you the types of cheese and how each is different, I will also cover for you storage, considerations when buying and how to serve cheese. 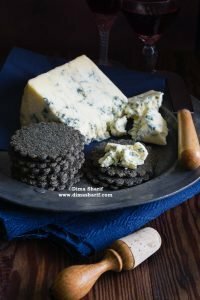 So read and enjoy, then check out my article “Perfecting the Cheeseboard“, this way we will have covered all the basics for cheese. The characteristics and methods of cheese manufacturing produce different classes of cheese. The different classes offer cheeses that are varied in flavour, texture and even colour. All of which are uniquely flavoursome, and can lend many different characteristics to the eating experience; such as hard and crumbly, creamy, soft and chewy, soft and creamy, elastic and slightly rubbery, damp and crumbly…etc. Besides the delicious flavour of cheese, these characteristics are what make it interesting and loved around the world. The unique characteristics are also what eventually determines a cheese’s popularity. These cheeses are un-ripened, naturally coagulated (without the use of bacterial culture), and are slowly drained. This cheese type usually has a high liquid content, and can be salted, or beaten with cream to produce cream cheese – such as Demi-Sel and Petit-Suisse. When looking for a fresh cheese that is very creamy, or when making cheese at home, this is the type of cheese you are going to have. These cheeses are made by mixed curdling (natural fermentation and added bacterial culture), without kneading, and are spontaneously drained, shaped and moulded. Then they are coated with a bacterial culture and left to ripen. These are made by mixed curdling and are cut to accelerate the draining process. The accelerated draining usually results in a firmer cheese than that with the downy rind, however, still soft cheese. During ripening their surface is washed with salted water. These cheeses are cut after curdling, sometimes even stirred, then, when shaping the cheese, it is cultured with bacteria to give it its characteristic blue or green veins. These cheeses are curdled with a bacterial culture, then the draining is accelerated by cutting, stirring as well as pressing, which is why these cheeses are evidently firmer than the previous types. These cheeses are manufactured like pressed cheeses, however, they are subjected to heat for more than 1 hour during the cutting and stirring stages. These are mainly Italian cheeses such as Mozzarella or Provolone. Where, after the cutting, the curd is mixed with whey, heated and is kneaded and stretched to create elasticity and slightly rubbery consistency. They are then moulded or shaped. These cheeses can be fresh, dried or smoked. These cheeses are produced by cooking different types of cheeses and are often flavoured to the desired taste. Within this type, the cheese can be made of either milk type, or a mixture of milks. 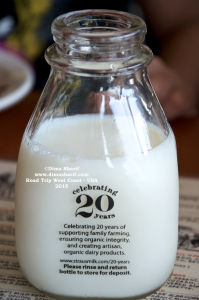 It can be made out ofwhole milk, skimmed milk, or enriched/fortified milk. Any variation will create a different cheese type within the category. This cheese has a distinctive flavour and can be soft or hard depending its age. 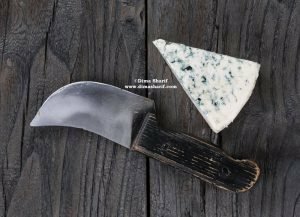 It usually has a downy rind – which can sometimes be coated in ashes – except in fresh cheeses and some veined cheeses like Bleu des Aravis. Has a unique taste and can be fresh like: Larzac and Broccio, or soft like: Venaco, Veined like: Roquefort, or pressed like: Pecorino. These cheeses are made using more than one type of milk. Usually mixing cow’s milk with goat’s milk, or ewe’s milk…etc. This cheese can be produced fresh, soft or veined. Cheese does not have to be the fanciest cheese in the world to be good! However, dedicated cheese makers who use the best quality milk do make all the difference to the cheese quality. Therefore, Farmhouse cheeses made by Artisans according to traditional methods are always superior in quality and preferable over factory mass-produced cheeses. Artisanal cheeses have more interesting flavours and textures and will vary from one craftsperson to another. You must consider Seasonal produce when purchasing cheese. The quality of the cheese and the availability will vary according to the season. The same cheese from the same manufacturer will taste different (better or less as good) if in or out of season. This is especially true with fresh cheeses. Cheeses manufactured from untreated milks are better flavoured than those made from pasteurised milk. You must also consider the compatibility of the cheese with the meal or drink you are offering. You always want to go for the best cheese in the display. These are the freshest wrapped possible – the best being just cut before you and wrapped. Thick wedges, cut from the centre to the rind, are the best, as when the cheese is exposed, or when the wrapping is in contact with the cheese, it loses its flavour. When choosing blue cheese, it must be slightly damp, not dry. Dry blue cheese is an indication of being old, Vs the damp fresher ones. Cheeses must always be stored in a cool room (temperature controlled), or in the refrigerator. It is best to store cheese at the bottom of the fridge as it is the coolest part of your fridge and the least fluctuating in temperature. With that said, it is necessary to mention here that all cheeses should be had at room temperature. The fats in cheese soften when at room temperature consequently the cheese will have the best texture – smoother and easier to bite into. Also in terms of flavour, the cheese tastes better at room temperature than when cold. For best results, take your cheese out of the fridge at least an hour before serving. The best practice to reserve the freshness and flavour of cheese is to store it in a plate under a glass dome. The glass dome keeps the right amount of air circulating around the cheese, which does not allow the cheese to dry or lose its flavour. If you do not have a glass dome, an inverted glass bowl works just as well. If you will wrap the cheese with nylon, it is best to loosely wrap it, otherwise you will suffocate the cheese, which will make it release its liquids or fats, become too dry and not pleasant. While in France, cheese is traditionally served as a course between main and dessert, in order for diners to consume whatever is left of the wine, in the UK and the US, cheese is usually served after dessert, as an extension for the evening. And when in the 19th century, cheese was considered to be a “masculine flavour” therefore served in smoke rooms with Brandy & Liqueurs; in the modern world cheese has become such a universal offering the world over. 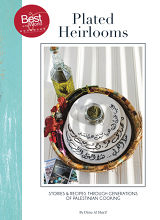 It is savoured by everyone – any gender, age, geography, or palate. Cheese is now highly regarded in its own right, it is served as an extension to a meal, and in most cases not even as part of a meal! Rather as the star paired with wine, cider, or beer in a lounge atmosphere. Cheese is also regularly paired with fruits, vegetables, nuts, different types of breads and crackers… It is one versatile produce, that is also an essential ingredient in many concoctions. It is such pleasure to eat cheese and there is always a cheese to please for everyone.